Wooden dog food storage containers are a great alternative to boring plastic containers. Let’s be honest: finding a way to store your dog’s food in a way that meshes with your home decor can be difficult. Many of the plastic containers are basic and drab! Decorative wooden storage containers are a wonderful alternative! They are useful for keeping your dog food handy without looking like a trash can! Affiliate links included. We earn a commission if you make a purchase, at no extra cost to you. 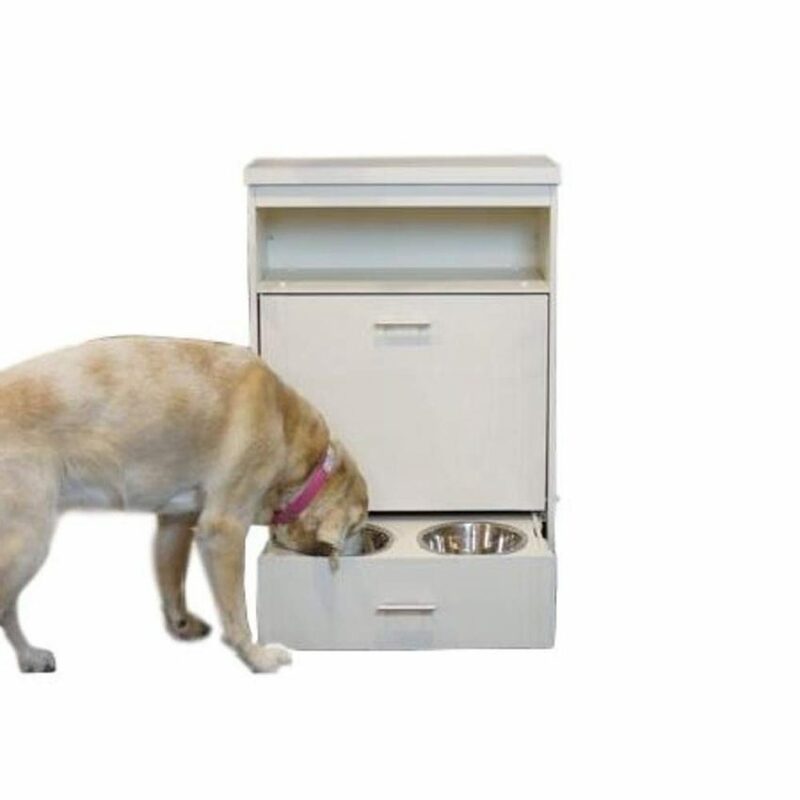 This pet food storage unit is great for keeping your dog food out of sight and organized. The white color makes it a great fit for just about any decor theme. There is a pull out drawer which holds food and water dishes. When your pup is done eating, just slide it back in! 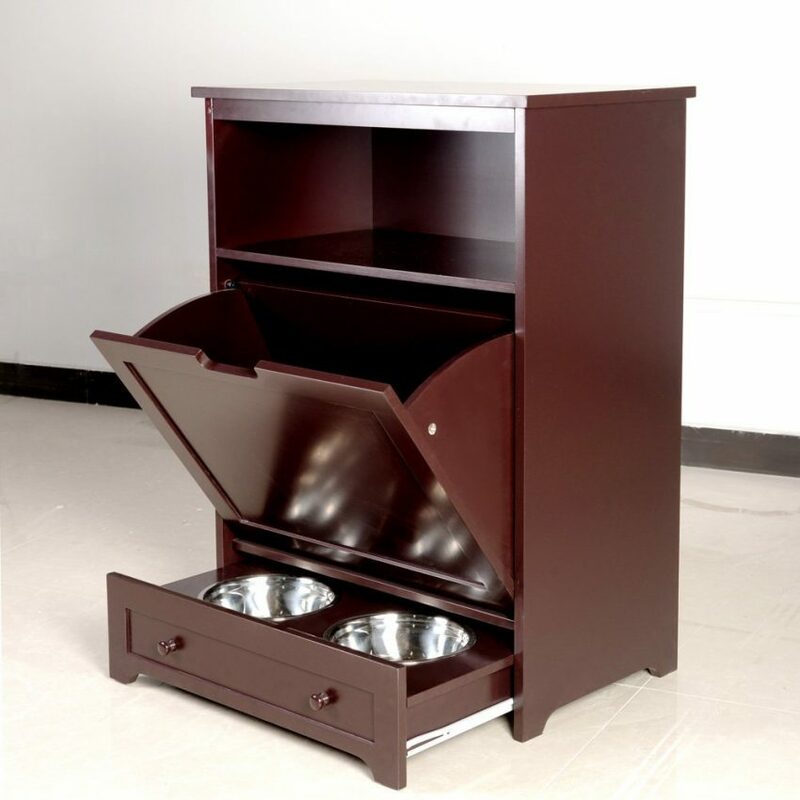 Use the shelf to store small treats, your dog’s leash, or other necessities. The cabinet is also useful because it has space for toys and you can use it as a furniture piece in any room! Maybe you want something designed specifically to hold dog food. This adorable wooden dog food barrel has a little “pet food” label and offers a more rustic look. A wooden dog food barrel like this one can hold up to 40 pounds of dog food which is great if you have large dogs or like to buy your dog food in large quantities! This is a great option if you do not wish to store you dog food in a closet or other confined space. A decorative container such as this allows you to incorporate your storage options into the style of your home! If you just need something small to store a little bag of food or some treats, this is a great choice. The style is perfect for a “farmhouse” decor theme. 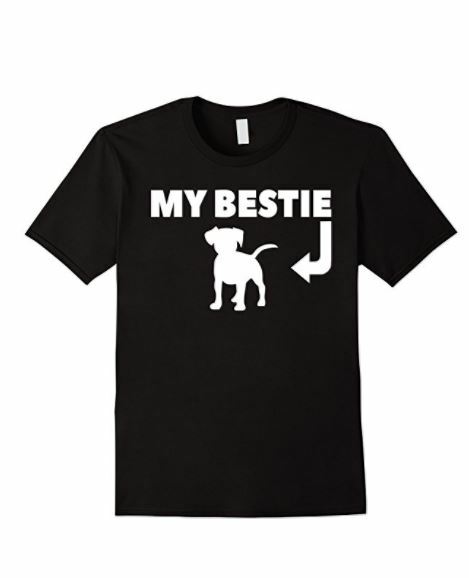 It comes with two bowls for your dog’s food and water. Inside, there’s space for sealed pet food and supplies, meaning it’s not ideal for open bags of food. 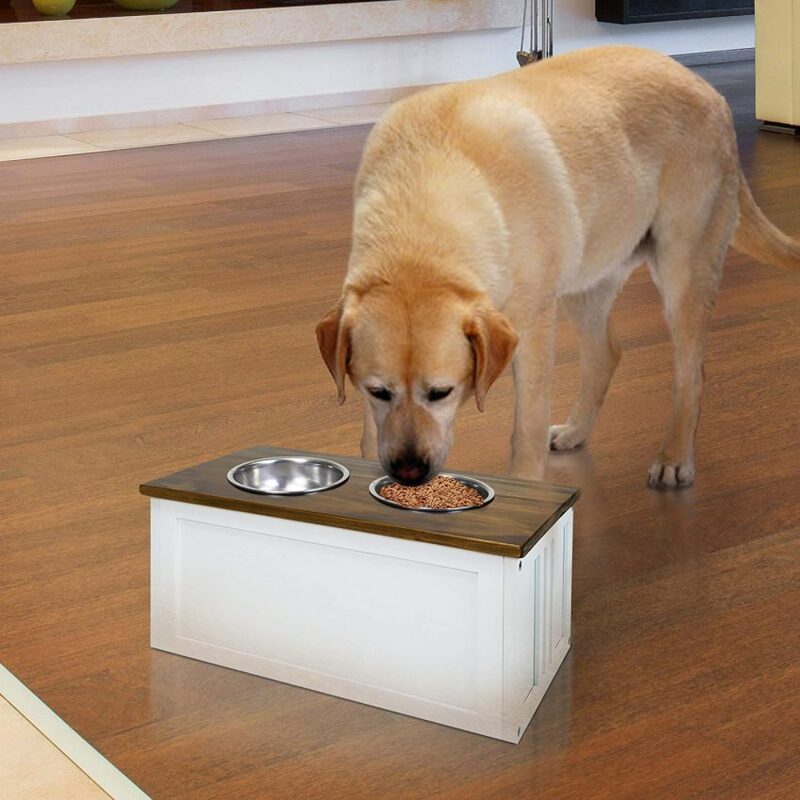 The elevated bowls make it easier for senior dogs eat without bending all the way down. One thing to consider: if your dog is one of the breeds at risk for bloat, an elevated feeding station may not be the best choice. 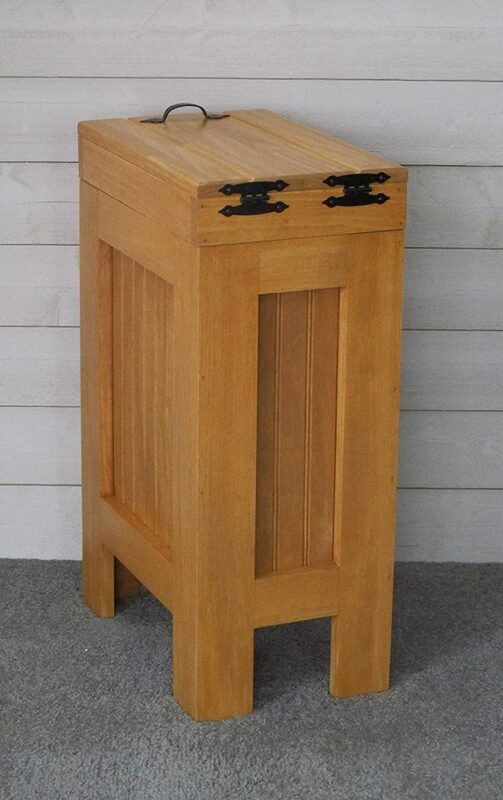 This simple wooden trash bin also makes a great dog food storage container! I love it because its slim design makes it easy to fit just about anywhere. Made of White Knotty Pine to give it a rustic look. It’s completely handmade in the USA! As far as style goes, this is my favorite wooden pet food storage container. I love the look of the dark wood! It comes with two bowls in the bottom drawer for food and water. The pull-out bin is roomy enough for a medium-sized bag of dog food, or a small bag and some treats. Use the shelf for other dog supplies, like a leash and toys! The only thing I don’t love about it: it’s made with MDF (medium-density fiberboard) vs. real wood. 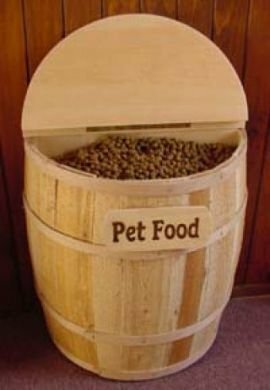 I’ll be honest, there aren’t a ton of wooden dog food storage options out there. Well, there are, but they all fall into one of the five above styles. Still, if you prefer the look of wood, you do have some beautiful options available to you! 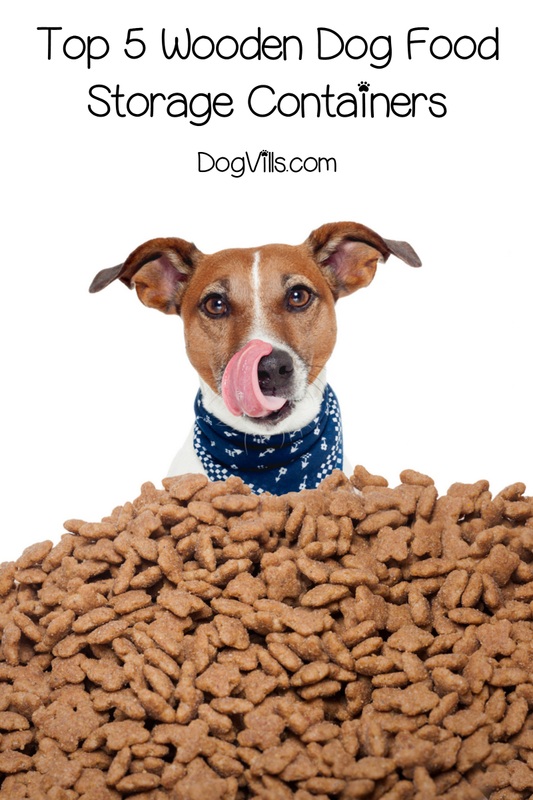 How do you store your dog’s food? Do you have a wooden dog food storage container of some kind? What is your favorite feature of that storage container?